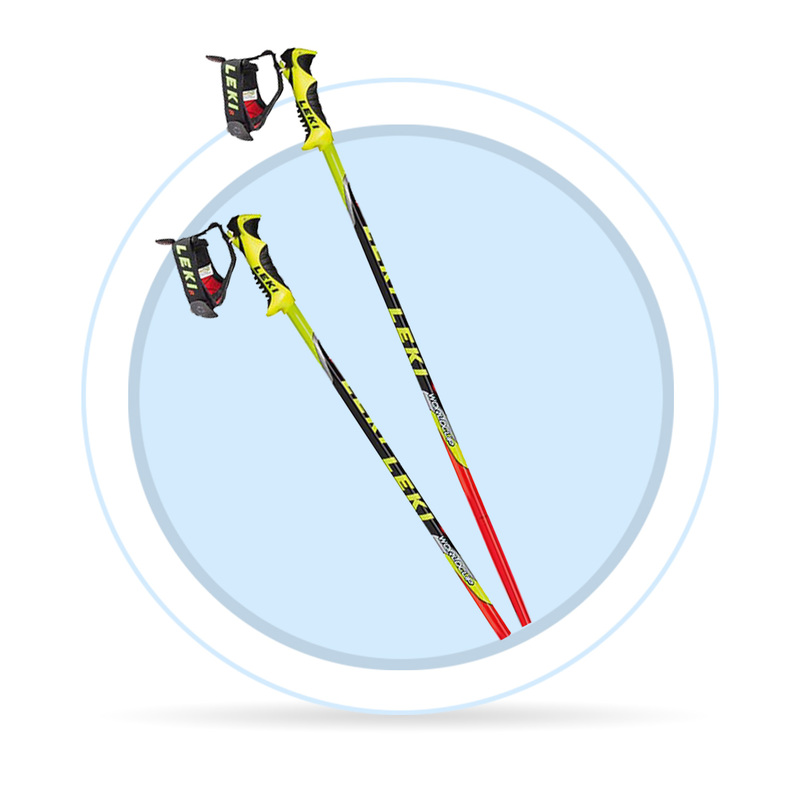 The most important parameters of ski poles are their length, flexibility and elasticity. The use of ski poles is really wide and individual. When choosing, focus on the length, material and the use. Racing poles are usually made of carbon. Racing models (e.g. 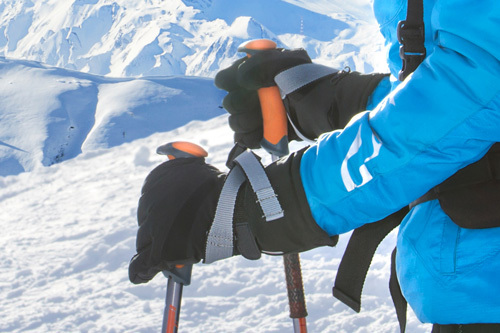 Leki) offer special connection between the pole and the glove. Sports poles have composite (or composite mixed with aluminium) tube. Their handle and strap are sophisticated. These poles are lightweight, firm and flexible. Recreational poles are usually made of alluminium alloy, they are intended for recreational skiers, who need their poles to be firm and comfortable. They are also affordable. Plastic handles are cheap and make the pole really affordable, however they are shapeless and often slippery in the gloves. The strap is made of ordinary nylon fibres and the buckle is from plastics. Handles from soft material can be found in more expensive sport poles. Thanks to the soft rubber, they fit in the glove perfectly. More expensive models possess higher quality straps (padded and with grip). What material are the poles made of? The tubes are usually produced from alluminium alloy. The material of the highest solidity is marked as 7075 (F65-55). Less solid material is labelled 5083 (F50-45) and the least solid one is labelled 5086 (F38-40). Poles made of these alloys are mostly for recreational use. Some poles are made of alluminium mixed with composite, these are however more expensive. 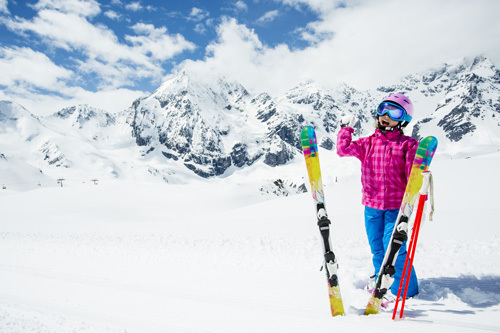 How to choose ski poles for kids? When kids learn to ski, most of them do not need to use poles at all. Initially, it is important to learn how to control the skis, poles could create unnecessary obstacles and cause falling and the risk of injury, that is why it is important not to rush anything. Ski poles are essential only if the child has balance issues, in that case they can be helpful in gaining confidence. After a child masters snowplough turns, it is ready for the poles. The shortest poles are 70 cm long, manufacturers also offer adjustable (telescopic) ski poles which can "grow" with the child. Generally, the rules for choosing the right poles for kids are the same as for adults.